Adélia Borges is a Brazilian journalist, curator and lecturer, who specialises in design. She celebrates initiatives that capture the social meaning of design, and appreciate and represent the broader scope of Brazilian society. Borges encourages uniting traditional Brazilian craftsmen with professional designers, marrying artisanship with mass production and spreading economic benefit from the cities to rural, impoverished areas of Brazil. She also hails the initiatives of “anonymous designers” on the fringes of Brazilian society who recycle objects into eco-friendly designs to improve their daily lives. BristoLatino’s Helen Brown reports. In Adélia Borges’s 2006 lecture ‘Design for a World of Solidarity,’ presented at Icograda Design Week in Seattle, she traced the history of design education in Brazil. The first higher education course on design in Latin America was Rio de Janeiro’s ‘Industrial Design College’ created in 1964. As Borges explains, this school followed the structure of the Ulm School in Germany, where many of the teachers were trained. Design education therefore “turned its back on its cultural origins,” meaning that Brazilian product designers endeavoured “to make as antiseptic and pure objects as the Germans” and Brazilian graphic designers aimed “to draft pages and projects as clean and dry as those of the Swiss graphic arts.” The traditional craftsmen of the country were spread across poor, rural regions and suffered from a “severe loss of cultural significance.” Their traditional handicraft faced detrimental competition from products imported from China. Craftsmen began to replicate the industrial formula of focusing on stereotypes in production instead of creating original products that reflected the needs and traditions of their communities. Borges mourns: “everywhere in Brazil one could find practically the same motifs, objects reproducing gnomes, pyramids or the flora and fauna of snowy countries copied from some magazine.” Both designer and craftsman had succumbed to an international and mass produced aesthetic. initiatives such as ‘Pure Gold’ recognise that as professional designers endeavour to imagine the future of sustainable design, they must take inspiration from the economically disadvantaged, who have become experts out of necessity. These design initiatives also bolster the idea that invention and style can originate inside Brazil itself, toppling the superiority of international design norms. In her book Design + Craft, The Brazilian Path, Borges explores the trend of designers that have teamed up with indigenous craftspeople with the goal of creating economically sustainable products without compromising their cultural essence. The book acknowledges failures in this process, of designers who have a pre-dated vision of the project and create products that are completely divorced from local use and meaning. However, designers such as Renato Imbroisi have spearheaded successful workshops for craftsmen all over Brazil. 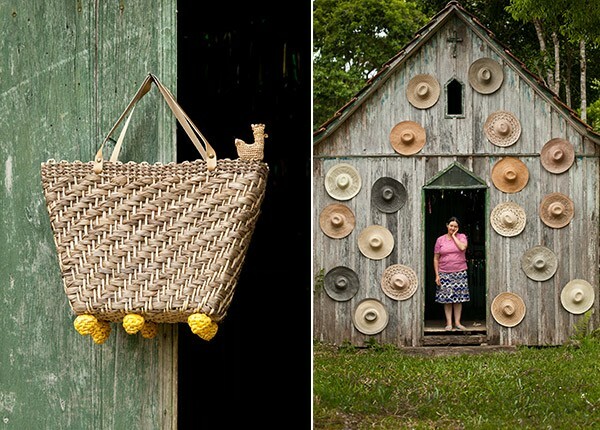 One example is Tecendo História, a group of weavers from the rural district of Ribeirão Bonito do Turvo who create bags, baskets, mats and other pieces from a variety of fibres, such as bamboo and corn straw. Renato Imbroisi held workshops with a variety of teachers in commercial management and quality control, collaborating to help them form a business without corrupting the original product. Borges is part of the global design initiative ‘Pure Gold,’ a 2017 travelling exhibit and conference that seeks to encourage upcycling as a form of sustainable design. In her ‘Pure Gold’ statement she describes how in Brazil “the garbage of the wealthiest became raw materials for the population brackets on the base of the pyramid.” Exhibits such as ‘Design from the Periphery,’ and initiatives such as ‘Pure Gold’, recognise that as professional designers endeavour to imagine the future of sustainable design, they must take inspiration from the economically disadvantaged, who have become experts out of necessity. 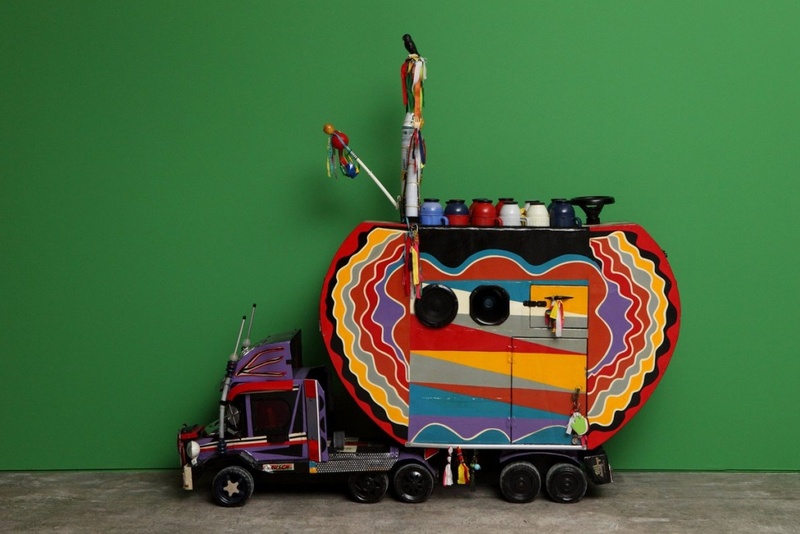 Uniting designers with craftsmen, and recognising the design potential of upcyclers all over Brazil are two initiatives that challenge the boundaries between high and low art and undermine prejudices that consider handmade objects inferior to products designed by those with higher education training. Placing artisanship and upcycling in the context of São Paulo’s most important galleries celebrates the diversity of contemporary Brazil, by valuing all facets of Brazilian society as inspiration for modern design.